I-HELP VOLUNTEERING OPPORTUNITY AT THE HOUSTON FOOD BANK! We need your and your guests' help. This is your chance to show your Illini spirit and to volunteer with us! Join us at the Houston Food Bank (535 Portwall St; Houston, Texas 77029) on Saturday, 9/22 from 8-11 AM. No pre-registration is required; just join us at 8 AM. With questions, contact the club's event coordinators, Doug Litteken, Derek Harmon and Rick Peterson via <douglitteken@gmail.com>. For everyone coming to iHelp, please register in advance! Sign up as a new user and "register" for our timeslot on Saturday! It only takes a minute - follow this link. Our club's Houston Food Bank event is part of the annual iHelp event to celebrate the start of Illinois' Homecoming week! This event is in conjunction with the UIUC campus iHelp event hosted by Student Alumni Ambassadors. This year we are challenging all alumni clubs across the world to come out and volunteer. The club with the most volunteers wins, so come on out and help us show that Houston is the best! We will meet in the check-in area at 8:00am! There is a parking lot at the Food Bank for volunteers. Please proceed to the check-in area. 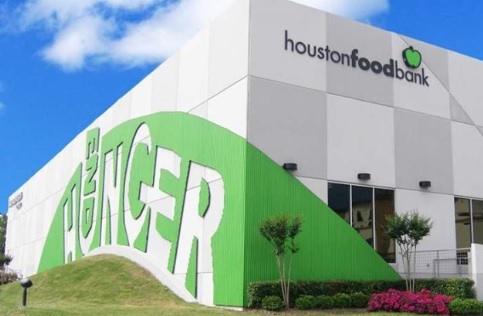 The Houston Food Bank provides a safe facility with an armed guard, and lockers are available for personal belongings. Please wear closed toed shoes. Our work will be in the warehouse, sorting/packing/moving items around. Bring your family and friends. Volunteers 16 years and younger MUST be accompanied by an adult parent/guardian.